• Discipline comes from the root word meaning to learn. What do your children learn in the process of positive discipline? Discipline is not simply punishment. Positive discipline is learning to control one's own behavior. • Punishment tells your children what not to do. Discipline tells them what to do. Children learn better ways to behave. They learn to direct their energies towards positive, rather than negative activities. They learn how to cooperate with others. • The goal of discipline is to teach our children to make better choices. Positive discipline is an approach to guide our children to develop self-discipline, responsibilities, problem solving skills and cooperation. • Love and mutual respect should be cornerstones of our relationship with our children. Using force to discipline our children can seriously harm the foundation of our loving relationship. 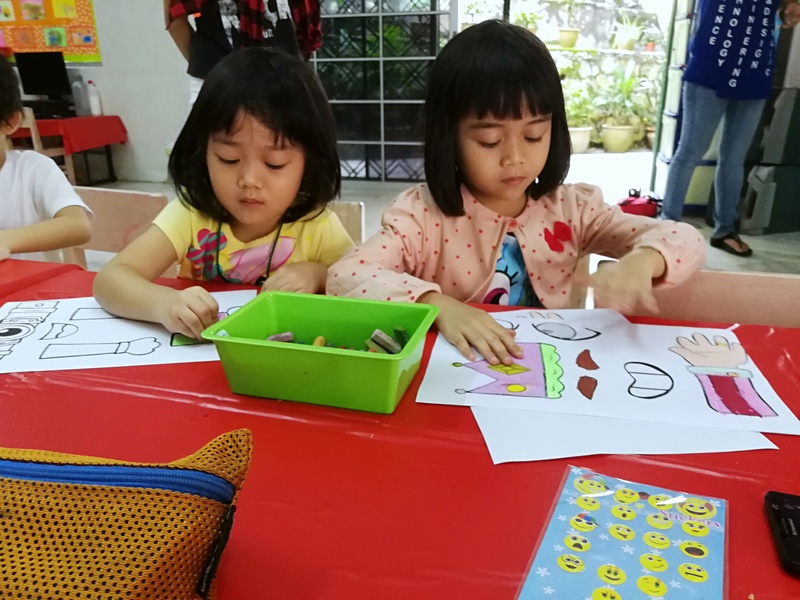 • Many literature points out that positive discipline approach is powerful in helping children to learn constructively, happily, healthily and effectively. How to Motivate Positive Discipline? Knowing how to discipline our children is an essential parenting skill to master. Children need to be taught about right and wrong. Every child has different developmental levels. You have to find a style of discipline that work for you. Discipline requires consistency, so you must establish rules and stick with them. Positive discipline techniques teach your children how to behave and encourage respect. These tactics must be age-appropriate. * Discipline involves learning acceptable behaviors. * Set clear boundaries- as to what is allowable and what is not. * Respecting boundaries and self-control. * Reward for good behaviors and limitations for bad behaviors. * Focus on solutions instead of punishment. * Effective communication and problem solving skills. What do you do when your children break the rules? • When you discipline your children, it is important to stay calm. Do what is fair. Do something that makes sense and will help your children to learn not to make the same mistake again. For example if your children write on the wall, have them help to clean up. • You can use these problem-solving steps to help your children think through what happened and figure out how they can help themselves not to make the same mistake again. • Don't using criticism because criticism will only lower your children's self -confidence. They will think that you do not love them. Avoid physical punishment. Physical punishment will make your children more angry and aggressive. • Sometimes children need time out to get their actions under control. Approach time-outs as quiet periods for your children to calm down until they can think more clearly and act more thoughtfully. Speak to your children about their misbehavior and explain the desired behavior that will help. • Positive time out teaches your children the valuable life skill of learning to take time to feel what they feel. And to calm down until they can behave in more constructive ways. 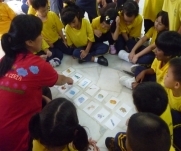 Encourages children to form positive beliefs about themselves, their world, and their behavior. • In this state of mind, they can learn from their mistakes on how to make amends for any hurt or damage their behavior might have caused. 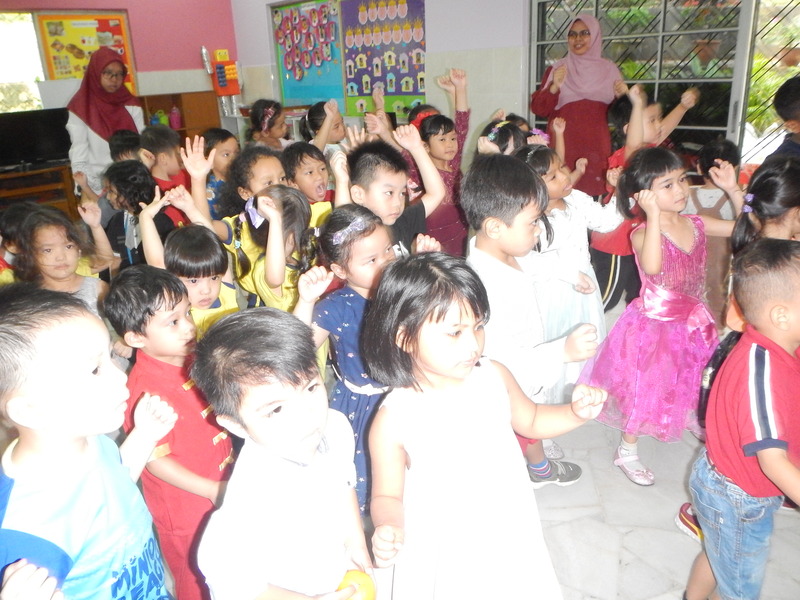 The kindergarten emphasis on moral values and attitudes. My child, Daniel understands what is right and what is wrong. 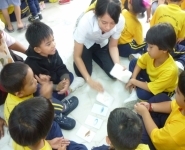 I believe it is important in nowadays society, for many kindergartens have been too result oriented and neglected what is the essential thing in human development. 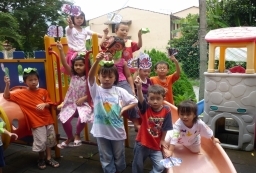 I find the teachers at Aman Ceria, very dedicated, they are good role models, always guide the children with love and patience. 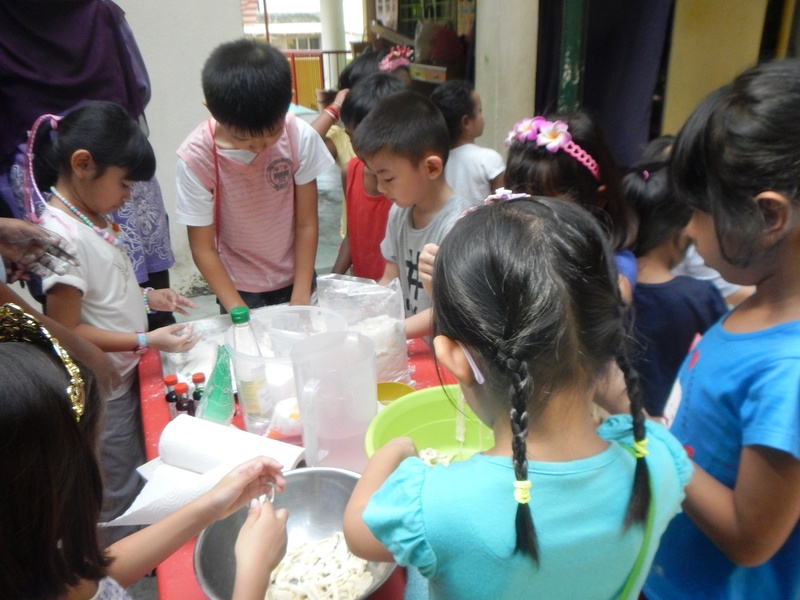 Daniel loves to go to school because he is always encouraged to learn and try new things. I can see his improvement in attention span, in self-control, in interest towards study, in learning new vocabulary, in creativity and most importantly in understanding of values and attitudes. Thank you, teachers, for your patience and love. Dedicated to educating and inspiring students to succeed in school, and a great start in life. Ballet / Piano / Art & Craft. to best serve your children's needs. 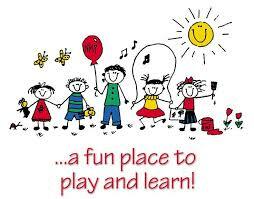 *Social skills and explore their world. What parents say about our school? her class in her exams. motivation for choosing Aman Ceria. on their own with confidence. camp is certainly a healthier option. to the fullest in various fields. left to join the primary school. 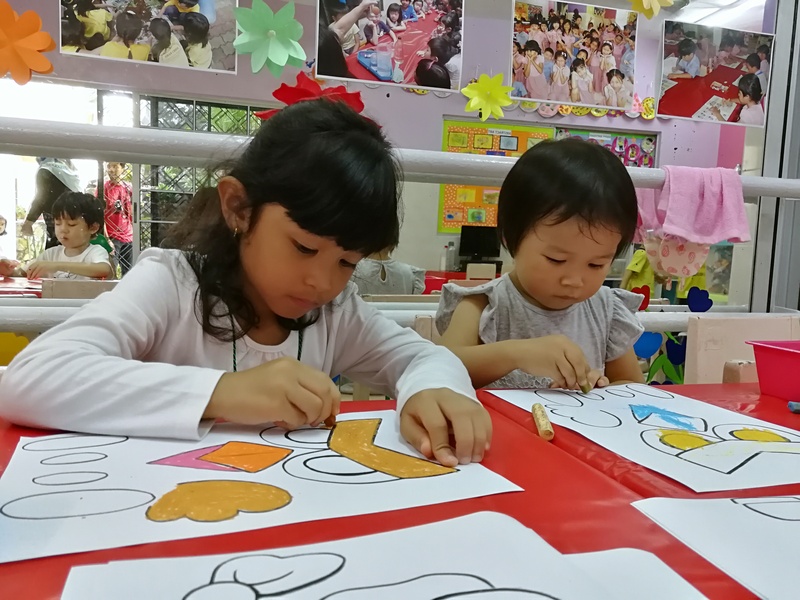 early-learning experience at Aman Ceria. children to be leaders of tomorrow. learning and studying fun and exciting. and caring for our daughter Hadeeja. all a happy little girl.